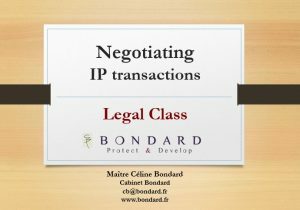 If I am selling or buying: who will own the IP rights? Which rights, for which use? If I am transferring or receiving know-how: who can communicate what? Who can use what? Anticipate for potential litigation between the parties, and with third parties: who guarantees what? You are buying a car or a computer. What are you buying? Similarly, the physical or electronical transfer of a good does not give you any intellectual property rights to that good. Even the source code of a computer program is not transferred when you purchase the right to use / exploit a computer program, if not clearly stated. « By the terms of this Contract, the Assignor assigns exclusively and definitely to the Assignee, as the Work of Art is being realized, the entirety of the author’s rights pertaining to the Work of Art. 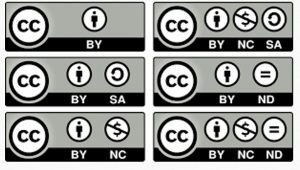 The Assignor assigns in particular to the Assignee the rights to use, modify, reproduce, perform, release, display, create derivative work of the Work, commercialise, by any means possible, on any material support. This assignment is effective for France and abroad, and for the duration of the intellectual property rights pertaining to the Work. The non-competing term can be defined as the clause from which an employee has committed to not compete with his employer or any third party. The non-competing term is applicable during the course of the contractual relationship, and in most cases, also for a while after its termination . Each non-competing term, which may be highly constraining and burdensome for its debtor, have to be unequivocally agreed by the latter. In France, non-competing terms are by principle lawful (Soc, 6 décembre 1967, n° 66-40.456). (Joseph Proudhon, journalist from the 19th century). « Want to let people share and use your photographs, but not allow companies to sell them? Looking for access to course materials from the world’s top universities? Want to encourage readers to re-publish your blog posts, as long as they give you credit? BY NC ND : Exploitation BUT no commercial use AND no derivative work. All CC licenses are intended to work worldwide: they are drafted with a global network of affiliates and intended to be internationally valid. 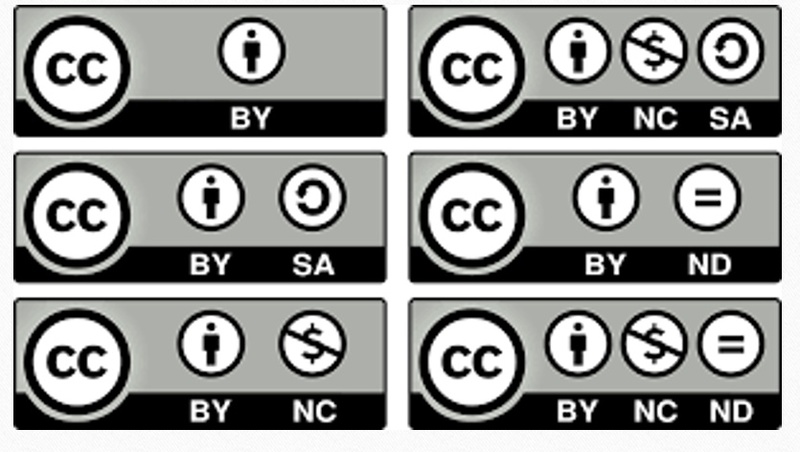 CC offers a core suite of six international copyright licences that are drafted based largely on various international treaties governing copyright. The French IP Office is the Institut National de la Propriété Industrielle, commonly called the INPI. All processes are available online. It’s strongly advised to order a search trademark report to evaluate the risk of seeing your trademark opposed by a third party. Refusal of the registration of your trademark will occur in case of likelihood of confusion. For instance, the Paris Appellate Court decided that the famous French Cheese producer “The Laughing Cow” could lawfully be opposed to the registration of the trademark “The Serious Cow ”, under the ground of likelihood of confusion. You can register an European Trademark before the European Intellectual Property Office, the EUIPO. Your European Trademark will be protected in all the Members States. Third party opposition has to be introduced before the EUIPO. Once your trademark is registered in France, or in the European Union, you will be able to extend its protection internationally before the World Intellectual Property Office, the WIPO. The extension is possible through the Madrid System, covering most foreign countries.